Japan has named its bet for the next Asian Development Bank president, in what an ex-U.S. envoy to the ADB calls a “rubber-stamp” move. As the ADB kick-started its nominations procedure today to fill the seat that ADB President Haruhiko Kuroda will leave upon his departure March 18, the Japanese government has fished another presidential bet from its finance ministry’s pools: Vice Minister of Finance for International Affairs Takehiko Nakao. In a statement, Japanese Finance Minister Taro Aso named Nakao as the country’s nominee and urged other ADB member countries to strongly support the nomination. “Having served in many areas within the Ministry of Finance, and in particular in the international side of it, including as director-general of the international bureau and vice minister of finance for international affairs, Mr. Nakao has gained extensive experiences in international finance and development,” said Aso. Aso lauded Nakao, who is the country’s top international finance official, for his links with key global figures and financial institutions, as well as on his in-depth knowledge of the Asian region. 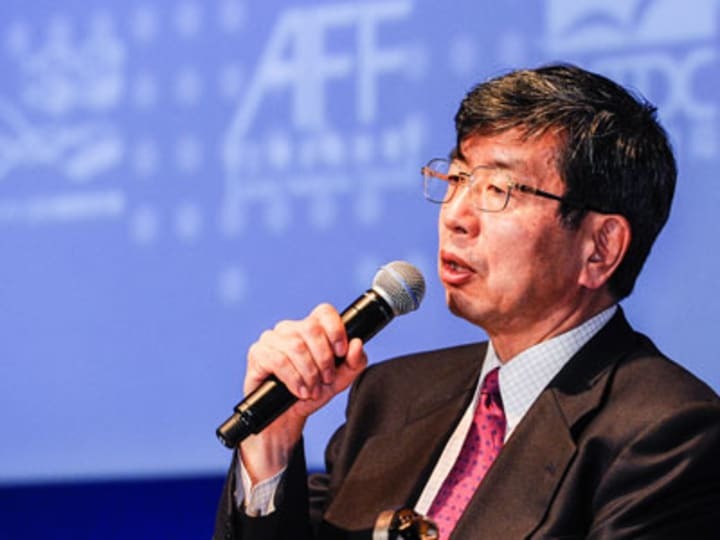 Nakao is next in line in a series of finance officials that Japan has bid for the ADB presidency. As previously reported by Devex, Nakao was Kuroda’s successor as Japan’s vice minister of finance for international affairs. While Aso hails Nakao’s nomination, on the other end of the spectrum are calls for a progressive leader who could likely end Japan’s 47-year reign over the ADB presidency. Former U.S. Ambassador to ADB Curtis S. Chin told Devex that Nakao’s nomination was predictable and par for the course. “Nakao will be just the latest Ministry of Finance official to make his way to the top of the ADB,” said Chin, who served under U.S. Presidents George W. Bush and Barack Obama. Chin said this new Japan nominee is “unlikely to be the dynamic, different kind of leader from Japan” that could signal that Japan is seriously mulling its long-time concerns on governance, management and human resources practices at the ADB. “The bureaucrats at MoF are likely celebrating that the prime minister chose not to make a bolder choice, but instead chose to continue the status quo,” he added. Chin, in calling the electoral procedure “a rubber-stamp selection process,” said that while the rules dictate that ADB’s shareholders will choose the next president from nominees put forward by governments, the reality is that the office has been traditionally held by former high-ranking Japanese finance ministry officials or others with close ties to the ministry. This was enabled by the ADB charter, which requires the ADB president to be put in place by a vote of not less than a majority of the total voting power of the members. According to ADB data, Japan and the United States lead ADB’s shareholders with a 12.8 percent voting power each, while the rest of the member countries trail behind with below 6 percent voting power each. “Japan, the United States, Canada, various European nations and Australia and New Zealand together have enough voting shares to push through Japan’s nominee over the objections or candidates of any other Asian nation,” said Chin. A new era of ADB leaders? Chin said it is unlikely that we will see significant changes in the ADB leadership soon, as voting powers are distributed by shareholding and not by membership.